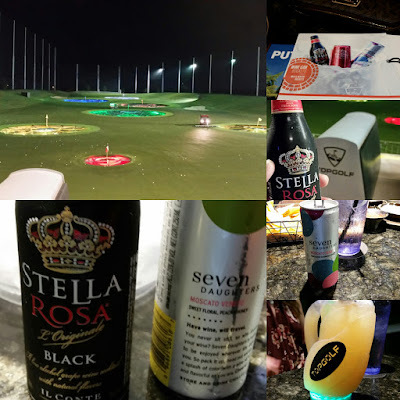 Stopped by Top Golf last night to hit a few golf balls. No wait, got there later in the evening... very nice! Decided to try their Wine in a Bucket offering choosing a Sweet Red and a Moscato from Stella Rosa Black and Seven Daughters, respectively. All was good with enough sweetness to keep the White Wine Wino happy. Red Wine Wino was good with them save for the needed "fortification" on the alcohol content . 5.5% for the Sweet Red and 7.5% for the Moscato. No worries thought, ordered the drink with the flashing souvenir glass shaped like a golf bag! 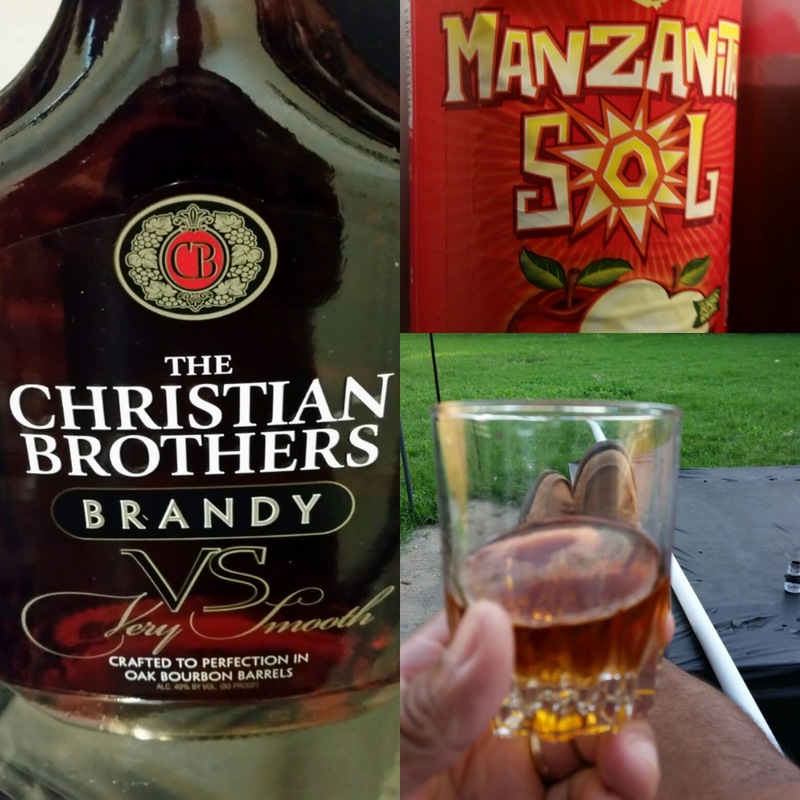 Chillin in the backyard, decided to mix up some apple soda with brandy. 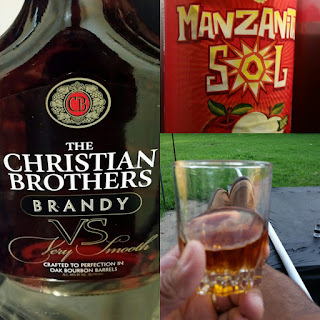 Went with Christian Brothers Brandy and Manzanita Sol in a 1 to 1 mix, add a little ice cube to chill... all was good for the Red Wine Wino! Was playing the slots at Winstar Casino. 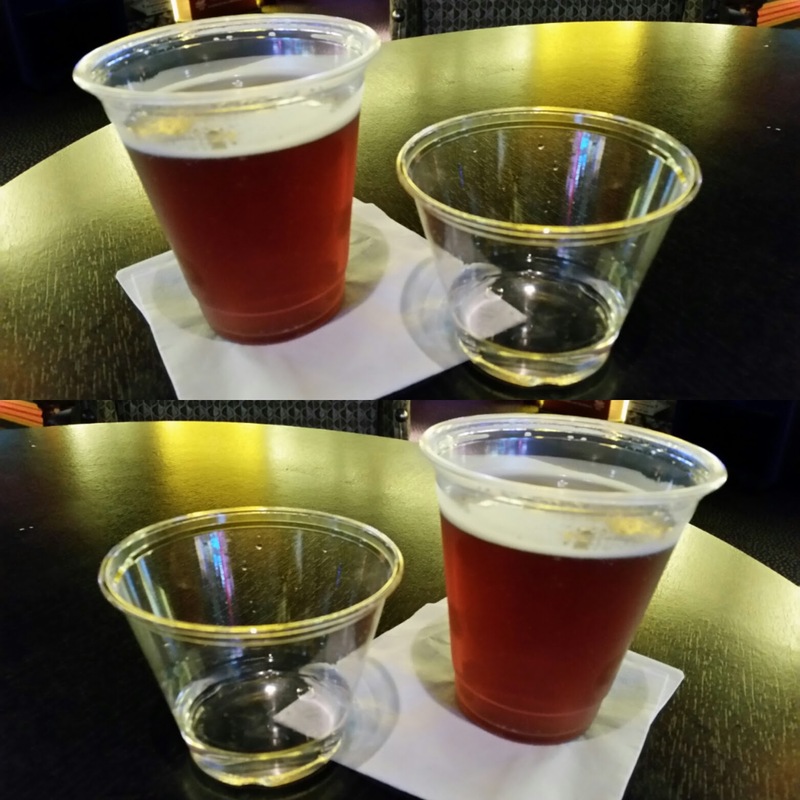 Mojo was off, so took a break and opted for their Happy Hour offerings - Shiner Bock on tap and Finlandia vodka shots! Felt much better having not done so well at the slots! 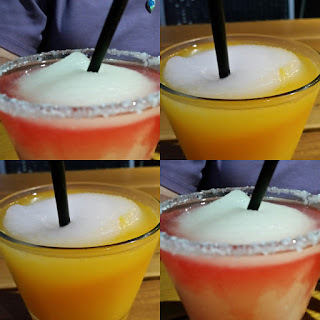 Village Burger and Margaritas is always a good choice, especially on a warm Summer evening listening to live music in the background... plus they pack a punch, too! 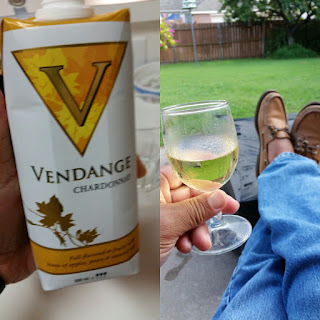 Had Vendange Chardonnay before. Cannot recall how long ago but no worries. It went well while chillin' in the backyard watching the grass grow! 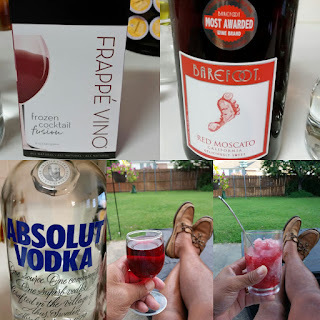 Tried something new... Frappe Vino wine mix. Added Barefoot Red Moscato and fortified it with Absolut Vodka. Tasty wine with a kick to make things all good! May need to try Spiced Rum to see how it mixes with the Frappe Vino!